​Too many parties..not enough shoes? Maybe you've ran out of room in your wardrobe? Or perhaps you are a mum? Got a night out but your wardrobe is all sensible flats? Can't justify spending money on yourself? Lost your identity in motherhood? Eclectica Statement Shoes is for YOU!! 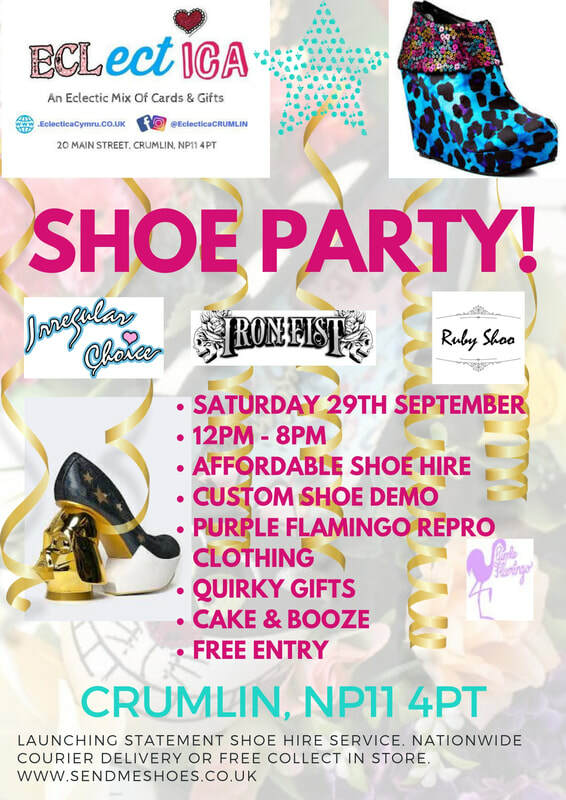 Launching 29th September 2018 - 12pm til 8pm - Come to our PARTY!! Indulge your passion for shoes. A 'go-to' for the rare occasion that you get out but have nothing to wear with THAT dress. A chance to just NOT BE MUM for a bit.